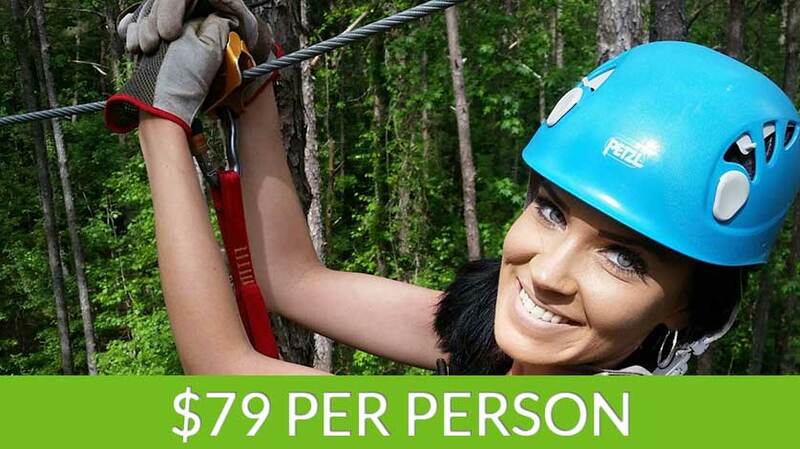 Charleston Zipline Adventures is set on 10 acres of forest in Awendaw, South Carolina located just 15 miles from Historic Downtown Charleston. As the only Zip Line Canopy tour in Charleston, we are so excited to be bringing this unique and exhilarating adventure to the Lowcountry. Come FLY through the trees with us to experience the beautiful sights and sounds of nature. And while our experience truly emerges you in our beautiful, secluded oasis, this adventure will definitely get your adrenaline pumping. This is sure to be an exciting adventure to remember! Our staff is here to make sure you have a fun and exciting experience zipping with us. After checking in and getting geared up, all adventures will experience ground school, which is where the guides will teach you the basics of braking, hand signaling, and hand positioning to prepare you for your tour. Then, you’ll be all ready and prepared to go up on our adventure! Up 65 feet to be exact because you start your adventure zipping from the top of our tower. From there, you will be able to glide from one tree platform to another on our 7 zip line cables. Along your journey you will also experience 3 towers, 3 swinging bridges, and a grande finale zip of 750 feet. 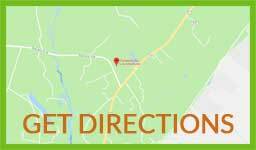 Each canopy tour is led by 2 highly trained and knowledgeable guides. We like to say that our guides do the clipping so all you have to worry about is the zipping! But for those not wanting to venture up on our course, our Adventure Center is a great place for non-zipping guests to relax and unwind on our wrap around porches and picnic area. We pride ourselves on being here for YOU, so we will do everything we can to make this an unforgettable experience for your friends and family. Watching your loved ones conquer their fear of heights, challenge themselves, take silly pictures, and smile continuously as they fly is a priceless memory that you will never truly forget. And that’s what it’s all about. We want you to unplug and venture into the Great Outdoors with the ones who mean the most to you. Adventure awaits here at Charleston Zipline Adventures, so come adventure with us!! Groups of 8 or more receive a 10% discount when all participants are booked under the same reservation with only one method of payment. Must be a minimum of 10 years of age and weigh at least 70lbs and no more than 250lbs. All participants must submit a release of liability/acknowledgement of risk/participant agreement before starting the tour. Link to the waiver will be sent in the confirmation email. Close Toed shoes required-no flip flops, no sandals!